The University Grants Commission (UGC) National Eligibility Test (NTA) is conducted by Central Board of Secondary Education (CBSE) to determine the eligibility of post-graduate candidates for the post of Assistant Professor and the award of Junior Research Fellowship (JRF). According to the official notification, the UGC NET 2019 is scheduled to be held in the month of June 2019. UGC NET has released the official syllabus for 2019. Candidates can download the PDF syllabus according to their elected subjects. Here in this blog, we have explained completely about the UGC NET 2019 Syllabus, exam pattern and other details about the exam. UGC NET 2019 is an offline mode of examination consisting of Multiple choice questions. Candidates have to mark the answers in the OMR sheets provided. Candidates who are in the final year of their Master’s program may also apply for the exam. Candidates who have passed UGC CSIR JRF examination before 1990, or cleared SET (State Eligibility Test) before 1st June 2003, are exempted from appearing in UGC NET 2019. Candidates who hold a foreign degree which is equivalent to the degree recognized by UGC are eligible to appear in UGC NET exam. Candidate’s age must be aged not more than 30 years as on 1st July, 2019. Upto 5 year relaxation is provided to women, and to the categories of SC/ST/OBC (non-creamy layer)/PwD/Transgender/Ex-armed force employee. 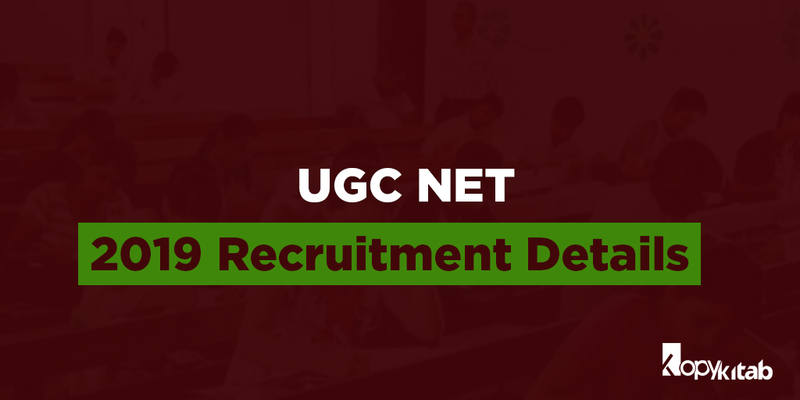 The application for UGC NET is tentatively to be released in the 1st week of March. Candidates will be updated as soon as the links are open. According to the new pattern, the examination will now have only 02 papers. Both of these papers are compulsory for final selection. Paper 1 of UGC NET will be a one-hour time duration exam carrying a total of 100 marks. There will be a total 50 questions with each carrying 02 marks. UGC NET Paper 2 will be a two-hour long exam. The total marks for Paper 2 will be 200. It will comprise of total 100 MCQs. It will cover the syllabus according to the respective field the candidate has chosen. UGC NET has released the official syllabus for all subjects elected as per the students. Candidates can click on the below link to check the syllabus. you will be redirected to the official website where you can find a table listed with all subjects. There are a total of 101 subjects listed. Candidates can click on their elected subject and download their PDF format syllabus. Hope you all have received complete information about the exam. Candidates can buy latest UGC NET Preparation Books that will help you kickstart your preparation. We will keep you posted on all updated news regarding the exam notifications. Stay tuned.